Anyone contacted Mario about this? Bitcoin exchange platform BitFloor has ceased trading after revealing its servers have been hacked and virtual money stolen from accounts. According to reports, 24,000 BTC were stolen in the hack which equates to around $250,000. 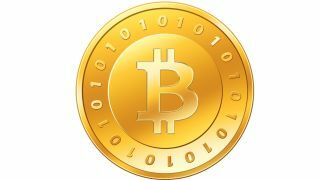 Bitcoin has grown as a digital currency unit in recent years, with the likes of Wikileaks and LulzSec accepting donations in the currency after mainstream companies such as Visa and Mastercard blocked payments to these organisations. The currency is also said to be used on Silk Road, the web's black market, but its founders have continuously tried to distance Bitcoin from this sort of trading, noting that using the currency for illicit means is silly, given the public nature of transactions. Couple this with the supposed launch of a Bitcoin credit card and the currency is starting to gain mainstream and legitimate traction. BitFloor being compromised is a blow to Bitcoin's credibility, but its co-founder and CEO Roman Shtylman has released a statement saying that he hoped that the problem will be remedied soon but shuttering operations was the best thing to do for the moment. "Last night, a few of our servers were compromised. As a result, the attacker gained accesses to an unencrypted backup of the wallet keys (the actual keys live in an encrypted area). Using these keys they were able to transfer the coins. This attack took the vast majority of the coins BitFloor was holding on hand. "As a result, I have paused all exchange operations. Even though only a small majority of the coins are ever in use at any time, I felt it inappropriate to continue operating not having the capability to cover all account balances for BTC at the time." Shtylman also noted that the closing of Bitfloor was temporary: "One of the last things I want to happen is for BitFloor to shutdown and cause more panic in the bitcoin community. The platform itself is very valuable and provides an important and friendly service to many users," said Shtylman. "BitFloor is very much focused on the end user and creating a reliable and trusted platform for everyone. Through exchange user support, I can continue to operate BitFloor."